I’m sure Achtung Baby was my first U2 and Boy was the last of the historical albums I acquired. But in between I’ve lost track of how things shook out. 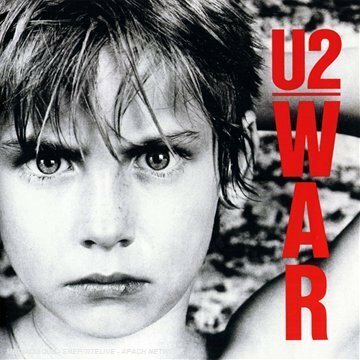 I’m pretty sure War was early on though, due to its songs that were already classics when I was in high school: Sunday Bloody Sunday and New Year’s Day. As the years have passed, the sound of this album definitely has aged. Two Hearts Beat as One in particular is extremely 80s sounding, and on some days it even sounds dated to me. Further, while Boy and October were very personal, post-punk albums, something has definitely changed here. With War, the band became big, anthemic, sure of themselves, a voice for young people. I love how the album is bookended by two very similar lyrics – in Sunday Bloody Sunday “How long must we sing this song?” and in 40 “How long to sing this song?” One question asked with righteous indignation, and one with earnest faith. War is actually filled with many questions: There’s many lost, but tell me who has won? Where are you going to now? Exactly who are you? Is there nothing left? Is honesty what you want? How can you help me? Through these questions I can hear more of that voice of and for young people (the members of the band were only 22 or 23 when this album was recorded), always challenging authority and looking for answers to questions no one else wants to ask. They might be older, wiser, and have a different style these days, but that’s what U2 is still about. I bought Wah Wah very early on in my CD-buying career. I don’t remember if I owned Laid yet or not. 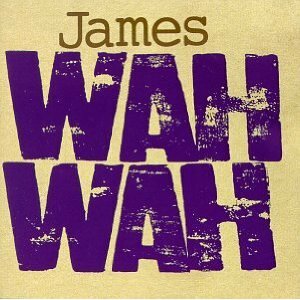 I think Wah Wah had just come out so I wanted to own James’ “newest one”. But little did I know that this album is just experiments the band did with Brian Eno whilst recording Laid. Even though I didn’t know it at the time, it was a good introduction to “classic Eno”-type explorations. I remember being 15 years old, listening to this album on a family vacation to Maui, alone in the bedroom of the condo with island breezes flowing around me as I tried to make sense of what I was hearing. It’s amazing now how much Jam J & the bass of Frequency Dip sound like Achtung Baby-period U2. It’s clear that Eno was experimenting with a certain sound during the early 90s, no matter who he was working with. Not that there aren’t some pretty traditional Jamesian songs here amongst the noodling – Pressure’s On and Tomorrow are especially good. At Coachella 2012 I saw James live for the first time, in unusual-for-Coachella rainy weather. When they busted out Tomorrow, it seemed like the clouds parted. I love that about them.